Voting begins on Thursday in Catalonia’s snap regional election with opinion polls showing that Catalans are evenly divided over a split from Spain. Voting begins on Thursday in Catalonia’s early regional election, called for by the Spanish government in the hope of quashing its independence movement. Polls consistently show that whilst a majority of Catalans want the right to decide their future - they are evenly divided over whether to split from Spain. There are seven significant parties jostling for votes. Opinion polls suggest the three pro-independence parties ( Popular Unity Candidacy (CUP), Republican Left of Catalonia (ERC) and Together for Catalonia (JxC) ) would fall just short of gaining overall majorities in the 135-seat Catalan parliament. However, the three unionist parties ( Popular Party (PP), Ciudadanos (Cs), Socialists (PSC) also look set to fall well short of an overall majority. 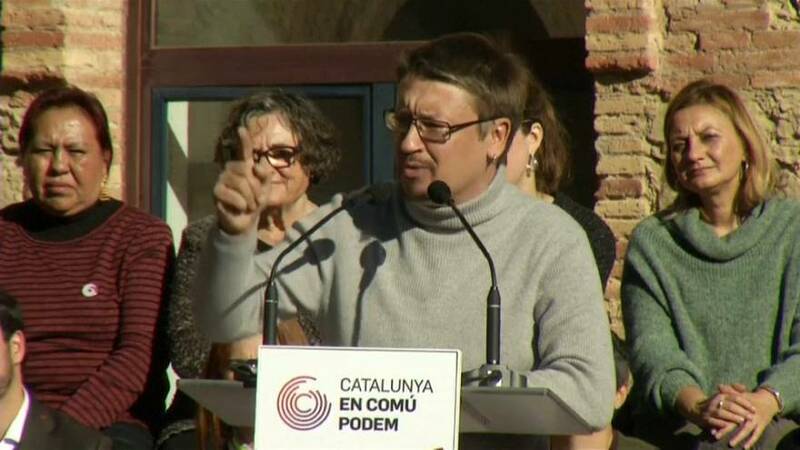 That will make Xavier Domenech, the candidate for the Catalan version of Podemos party, named Catalunya en Comú-Podem, the king-maker in coalition talks. Steering a middle ground course, Domenech’s is calling for greater autonomy for Catalonia inside Spain and reforms that would enable a legal referendum on independence. According to the polls, Domènech’s party has been inching its way up the rankings. He has called for a three-way left coalition (made up of the pro-independence Esquerra Repúblicana (Republican Left), the Socialists and his own party. If he can pull it off, Catalonia may take a turn to the left, with social policy taking precedence over nationalism. If not, a hung parliament and prolonged uncertainty looks the most likely outcome.